This vertical light guide system with a grid dimension of 2.54 features 2mm x 5mm elements. 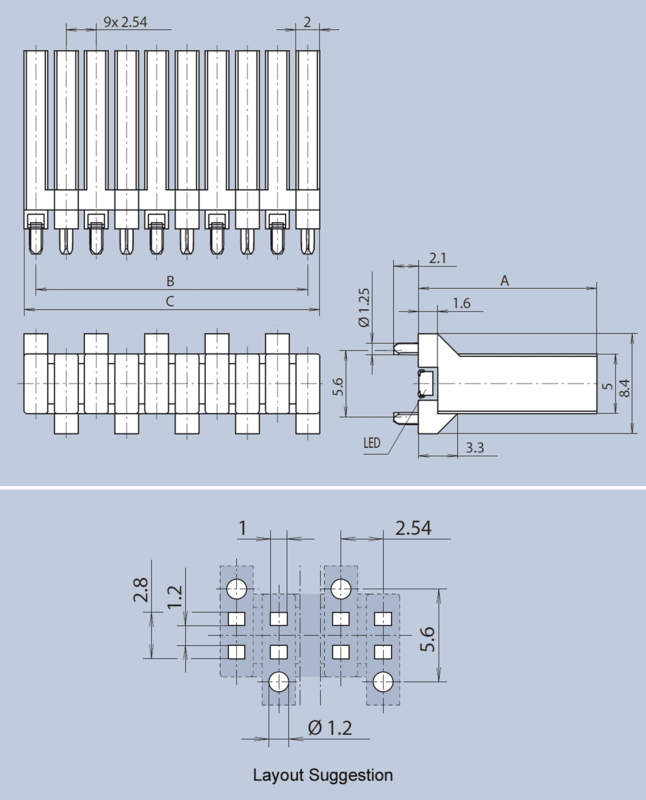 The light guide is mounted on the PCB via press-in lugs and is designed for use with SMD MiniTOPLEDs. This one-row system is available from 2-columns up to 10-columns, e.g. as a bargraph display. Standard Length A is offered in a choice of 15mm or 30m. Infinite variants of Length A can be supplied between 7mm and 30mm with little or no tooling cost.